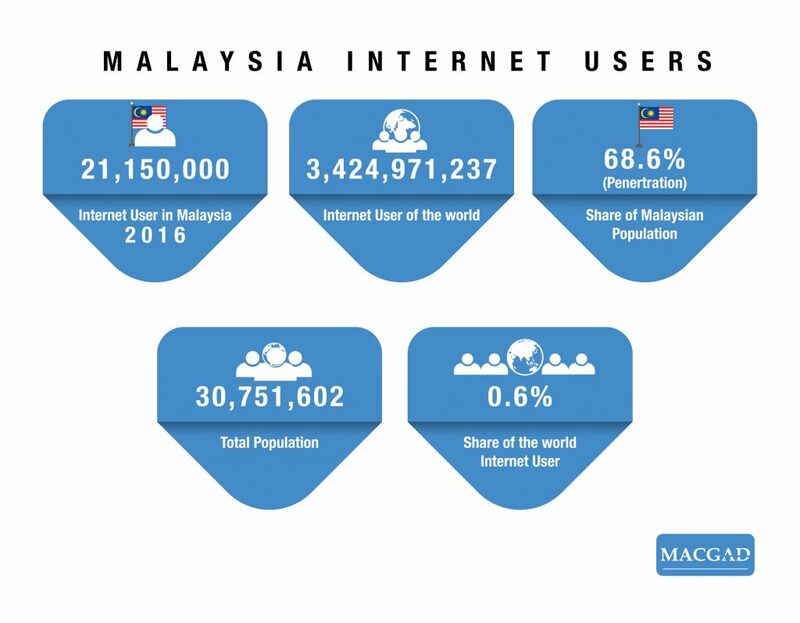 Malaysia , A middle-income country with a population of more than 30 million people with 70% internet penetration , Malaysia attracts players from local and global companies that are interested in grabbing share of market through digital marketing strategies to presence online. Thanks to the Digital Free Trade Zone(DFTZ) , now small to big business can use the digital way to sell and buy things across Asia . DFTZ will provide physical and virtual zones to facilitate SMEs to capitalize on the approach of the exponential growth of the internet economy and cross-border activities. Video really is the future of content marketing and it’s a format that’s gained serious momentum in the last 12 months. It shows no signs of slowing down as we move into 2018 and with social media giants like Facebook, Instagram and Twitter investing more energy and money into improving their video capabilities, it’s time to ask, why is this? Here’s why video is set to be one of the biggest Digital Marketing trends of 2018. It clear that video has become a major player when it comes to driving engagement. According to the Content Marketing Institute, audiences are around “10 times more likely to engage, embed, share, and comment on video content than blogs or related social posts”. This is because video speaks one, universal language, meaning you’re able to connect with many audiences right across the globe. According to Brainshark, 65% of viewers watch more than ¾ of a video, which is more than we can say about text-based content. Want to get an important message across or convey brand image, then choose video. While creating a video used to take many months and potentially thousands of pounds, the production of great video content has become much more affordable in the last few years. Nowadays, you can use everything from your iPhone to a high-end DSLR to capture high-quality visuals. Getting in on the video game is for everyone. Another trend being carried over to 2018 is that of micro-moments. These occur when people turn to their devices (increasingly a smartphone) to act on a need to learn something, do something, discover something, watch something, or buy something. They’re intent-rich moments. “If 69% of online customers agree that the quality, timing, or relevance of a company’s message influences their perception of a brand” (Think With Google) it’s worth knowing about micro-moments. Local search ads display only to users in the relevant geographic area. A user inputs a search term with a specific location, such as “cafes in London” and a list of businesses in that vicinity will show up. 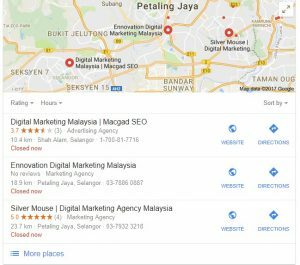 You can tailor messages to locals searching for your product or service and increase your visibility and help potential customers find you more easily by setting up a search ad on Google (as well as on other major search engines). If 2017 was the year of micro-influencers (influencers in a niche field), then 2018 is set to be a year of integration influencing. There will be a growing demand to formulate integrated influencer marketing strategies which will weave together mega-influencers, macro-influencers and micro-influencers as well as merge other well-established word-of-mouth strategies such as loyalty, advocacy and referral programmes. The chatbot which functions solely with an artificial brain (AKA artificial intelligence)is proving to have an increasingly larger role when it comes to dealing with customers via chat interfaces. They’re really set to be one of the biggest Digital Marketing trends of 2018, so watch out, because they’re popping up everywhere. Clothing brands like H&M and makeup retailer Sephora have both used chatbot technology to their benefit. Sephora has used it to offer their customers bespoke and tailored customer interaction, tips, treatment and advice, whereas H&M have offered their users a personal stylist Chatbot. It’s clear that Chatbots are creating new and dynamic ways in which brands provide customer service. It’s easy to see why ‘social proofing’ is set to be one of the biggest Digital Marketing trends of 2018. Really, it’s just a fancy way of describing the sense of collectively affirmed assurance that shoppers feel when they read about positive online experiences in reviews, through testimonials or via social shares. As a concept, social proofing can really make customers feel much more comfortable about buying from an eCommerce store. Below, online memory retailers MyMemory have utilised the power of reviews by featuring Google Customer Reviews on their site. New voice-enabled devices such as the Amazon Alexa and the Google Assistant have been a breakout hit with consumers in 2017 and trending products on Amazon. It’s clearly set to grow and expand even more to become one of the biggest Digital Marketing trends of 2018.Whether we like it or not, voice search affects SEO and incorporating voice command into our websites as well as increasing the amount of quality, conversational style content are imperatives. But what optimisation strategies can we use? While it’s unlikely that one word, short tail keywords will ever vanish entirely, but they don’t exactly fit in with the natural, conversational tone used in voice searches. The truth is, we don’t want to feel like we’re talking to machines anymore. We need to focus more attention than ever on personalised, long tail keywords. If you’re writing content in a natural, conversational tone — you’ll be speaking the consumer’s language, the language they use in voice search. Since Google doesn’t penalise for voice search, the websites that are seen to adapting to the voice search world are the ones incorporating (voice) search strategies for typers and talkers, alike. One of the latest evolutions in SEO, is a new form of optimisation, a semantic vocabulary code used on websites is here to help return more detailed, informative results for users. For example, if someone searches for a music venue or concert tickets, by applying Schema to the SERP, (Search Engine Results Page) you can instruct the results to show a list of upcoming dates beneath the original search. This helps to promote your own business but also giving the searcher extra, additional information, without having to ask for it. 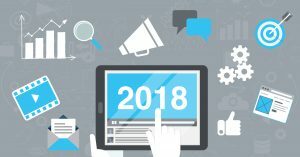 This is a round-up of all the items and products that we think are going to hit the and feature as the prominent Digital Marketing trends of 2018. It’s not imperative that you incorporate every single trend into your marketing or sales strategy this second, it’s all about assessing what works for your business and your customers – trial and error!